After meeting the author of Monetizing Innovation and reading the book as a team. 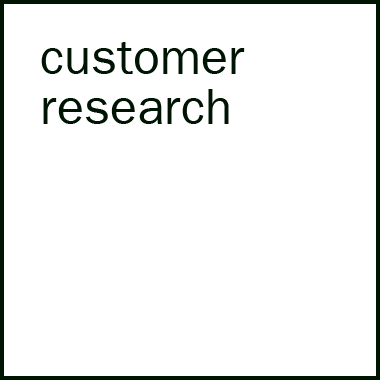 We designed a customer research program that assessed the desirability and willingness to pay of features. The initial list of features was sourced from support, marketing and product. Over the quarter we spoke to 40 customers. To gain a qualitative understanding of customers and their small business we opened interviews with the following questions. How frequently do you use Invoice2go? What other business applications do you use? 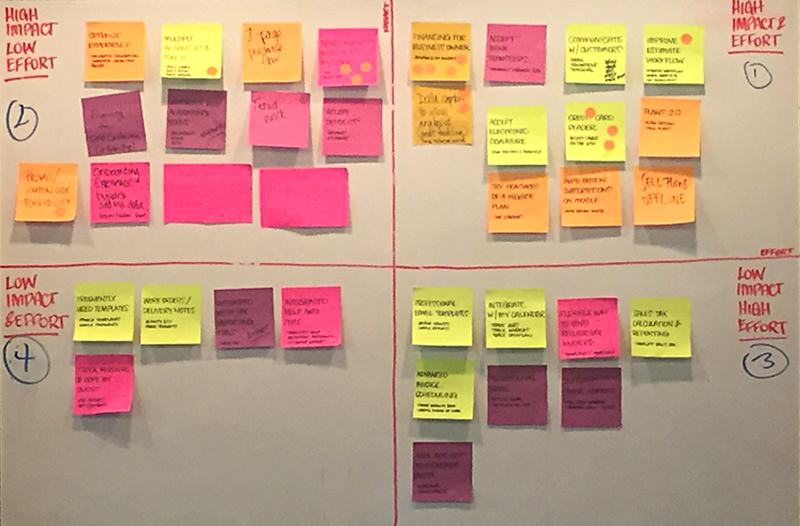 Using a similar approach as in Monetizing Innovation we categorised the feature themes from the card sorting exercise into 3 groups: leaders, fillers, and killers. We also used the card sorting exercise to stack rank feature themes on willingness to pay. To bring the whole company on the journey we presented the research outcomes at a leadership offsite. This presentation introduced very early personas and the plan for future research. We ran a collaborative exercise with the leadership team to assess the impact and effort involved in each of the feature themes. The exercise was effective in creating an open dialogue about what was possible, and what was not included. One consistent piece of feedback we heard from small business owners was that they operate alone. Because of this they enjoyed opportunities to connect with other business owners. At the time we were also struggling to find research participants. We designed an event to meet the needs of small business owners. With this goal and the need to connect non-customer facing teams with customers. Happy Hour was born. Happy Hour was the very first customer event at the company. The research program informed the product roadmap and enabled a second research program for Q2. In Q2 the team used quantitative segmentation of our customers to drive qualitative research into customer personas. To run the Q2 research program we hired a dedicated Design Researcher. The strategy for design research is to develop the discipline and playbooks that help the wider team self serve.